In the early morning hours of Wednesday, July 18th, every last person who'd stayed to witness the crowning of the 2007 World Series of Poker (WSOP) champion was on edge as Tuan Lam moved all in for his last 22.2 million in chips and Jerry Yang made the call; Lam showed the , while Yang revealed pocket 8's. Before the tournament, both players were completely unknown to the poker world, but one of them was about to take center stage as poker's lead ambassador and assume the title of world champion. The board had given Lam the lead, but he would need to dodge an eight or a six on the river, otherwise Jerry Yang would take the pot and the championship. Lam's supporters shouted, "Pair the board!" while those in Yang's corner called for sixes and eights; the atmosphere was electric. With the fate of two men riding on a single card, the dealer carefully revealed the river . . . it was a six! The hand capped off a dominating final table performance by Jerry Yang, who eliminated all but one of his final-table opponents en route to becoming your 2007 WSOP Main Event champion. Though the curtains may have closed on this year's WSOP, a new show is about to begin that promises to provide much of the same drama and excitement that only the WSOP brings. The inaugural WSOP Europe is set to make its debut on September 6th in London, England with a three-day &pound;2,500 H.O.R.S.E. tournament at The Casino at The Empire. The second event on the WSOP Europe slate features a &pound;5,000 Pot-Limit Omaha tournament, which begins September 8th and will also be hosted by The Casino at The Empire. The Main Event, a six-day &pound;10,000 buy-in No-Limit Hold'em tournament, is scheduled to begin September 10th, and will be hosted by The Empire, The Sportsman and Fifty, which are all part of London Clubs International (LCI) . Commissioner Jeffrey Pollack has high hopes that this new tournament series will become Europe's most prestigious. "We fully expect World Series of Poker Europe, presented by Betfair.com, to become Europe's preeminent poker tournament," Pollack said. "We're thrilled that so many of the game's biggest names will participate." Big names indeed. 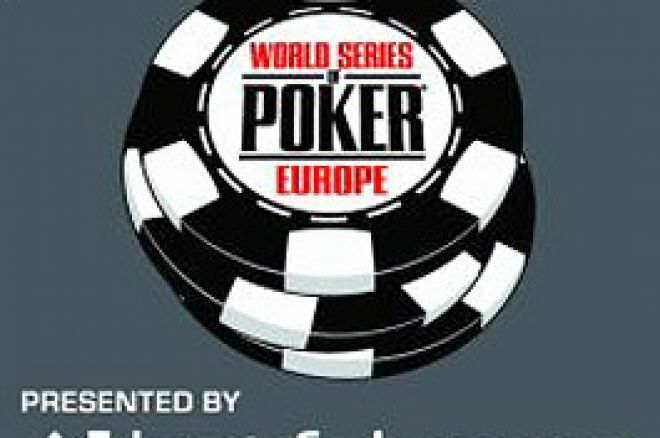 Amongst the players who have already registered and/or committed to playing in the WSOP Europe are multiple bracelet winners Phil Ivey, Doyle Brunson, Erik Seidel, Jennifer Harman, Howard Lederer, Allen Cunningham and Phil Hellmuth. Also attending are freshly anointed bracelet winner Eli Elezra, 2006 WSOP Main Event champion Jamie Gold, and consummate tournament pro and current Aussie Millions champion Gus Hansen. Commissioner Pollack recommends that players take advantage of the pre-registration option, as he expects a sell-out crowd. "The early sign ups and limited venue size means that each field will have limited capacity. If players want to play in these inaugural events alongside the best players in the world, I encourage them to pre-register well in advance to solidify their seat," Pollack said. Complete information about the WSOP Europe can be found at www.lciclubs.com/wsope.html. Lock up your seat today!